There are many benefits to wildlife from reducing carbon emissions from power plants under the Environmental Protection Agency’s proposed Clean Power Plan. Runaway climate change threatens at least half of all species on Earth with extinction. And many species will their ranges significantly diminished or changed. 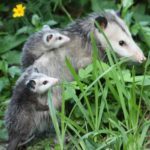 EPA’s plan to reduce carbon pollution from power plants – America’s largest single source of climate disrupting greenhouse gases – by 30% by 2030 is a critical step in keeping the planet a place where wildlife can continue to thrive, and even further reductions are likely. But this rule – which promises to move us away from dirty fuel sources to cleaner sources like wind and solar – will provide significant other benefits to wildlife in addition to tackling climate change. Fossil fuel power plants, particularly those fueled by coal, are one of the chief sources of toxic and other pollution into our waters and air. They kill and poison fish and wildlife and make fish in many lakes, streams and rivers unsafe to eat. By moving us toward cleaner energy, the Clean Power Plan will make our air and waters cleaner, our wildlife healthier, and help allow us to enjoy wildlife based activities with less pollution and health risks. Currently, most states have fish advisories in place concerning thousands of water bodies because mercury from power plants have resulted in serious health risks associated with eating fish. Coal fired power plants are the source of over half of human introduced mercury into the environment. We should not have to be afraid to eat the fish we catch. Mercury also poisons other wildlife, like loons, that have no choice but to eat contaminated fish. A recent report found that 75% of loons in pristine Adirondack lakes far from coal plants had mercury levels that posed high to moderate risks. Common loons stand to benefit from reduced mercury. Photo donated by National Wildlife Photo Contest entrant Ronald Norman. Mercury is so toxic, that 1/70th of teaspoon to the make the fish in a 25 acre lake unsafe to eat. EPA estimates that the Clean Power Plan will remove 3,400 to 4,200 pounds of mercury from the environment. While mercury and other toxic air pollutant (like arsenic and hydrochloric acid) levels from power plants are being reduced thanks to a 2012 rule, reducing reliance on coal and increasing using of non-polluting energy sources will further take these toxins out of our waters and our fish. When coal plants remove toxins like arsenic, chromium and nickel out of their smoke emissions, they end up in sludge waste that is often discharged into nearby waters. As a result, according the EPA, existing fossil fuel power plants contribute 50-60 percent of all toxic pollutants discharged into the nation’s surface waters by industrial categories. This poisons our waters, our wildlife, and ourselves. Increased reliance in clean sources of energy like wind and solar – which will be promoted by this rule – will help ensure these toxins stay out of our waters and don’t endanger wildlife. Fossil fuel power generation requires a significant amount of water to cool equipment and steam. A typical coal plant with a once-through cooling system withdraws between 70 and 180 billion gallons of water per year and consumes 0.36 to 1.1 billion gallons of that water. By EPA’s own conservative estimates, industrial cooling water withdrawals annually result in the death of at least 2.2 billion age one-equivalent fish, crabs, and shrimp, and a minimum 528 billion larvae. EPA has also identified 88 threatened or endangered species, such as sea turtles, at risk from cooling water intake and more than 130,000 baseline losses of threatened and endangered species. National Wildlife Photo Contest entrant Tyler MacDonald donated this photo of a loggerhead sea turtle, which stand to benefit if harmful water intakes are reduced. While new EPA rules have been issued on intake structures that will reduce these numbers, fossil fuel plants will continue to be able harm to wildlife with water withdrawals. However, by spurring the transition to a clean energy economy, the Clean Power Plan will help reduce the need for cooling and reduce wildlife causalties. Trout are harmed by acid rain, which will be reduced by transitioning to clean energy. Photo by USFWS. Coal plants are one of the leading causes of sulfur dioxide and nitrogen oxides emissions, which form acid rain. Acid rain pollutes lakes and streams, harming wildlife and fish in areas that are otherwise pristine. In fact, acid rain can cause small lakes far from industry to become fishless. According to EPA’s estimates, the Clean Power Plan will remove between 424,00 to 471,00 tons of sulfur dioxide and 407,000 to 428,000 ton of nitrogen oxides, which will mean less acid rain in the streams and lakes downwind of power plants. These pollutants create a host of other severe problems for wildlife, such nitrogen deposition which can fuel the toxic algal blooms in places like the Chesapeake Bay. The benefits don’t end there. Reducing our reliance on fossil fuel and coal and moving swiftly to clean energy will also reduce pollution sources such as smog and coal ash, which threaten wildlife and habitat areas. Building a clean energy future is clear win for wildlife. EPA’s Clean Power Plan is the biggest step towards that future ever proposed. It is important for wildlife that a strong rule becomes law.